Do you feel the weight and weariness in that? It is so heavy and burdensome. The repetitive routines of daily life. The monotony of maintaining a home. The mundane tasks of being a mom. It's the story of my life on so many levels! I think many moms can relate. The days seem to blur together in a frenzied cycle of cooking, cleaning, washing, shopping, carpooling, scheduling...until we collapse exhausted at the end of the day only to wake up a few short hours later to do it all over again. And it has been the same since the beginning of time, really. Oh yes, the modes and methods may change, but when it comes to mothering there really is not much new under the sun. And some days we just long for something new, don’t we? I remember as young mom having 3 boys under the age of four (this was before my baby girl came along!) and desperately trying to add something to our day to change the routine, get us out of the house, and, to be perfectly honest, kill some time until my husband got home from work and could relieve me for a bit! A trip to Target, a visit to a park, meeting a friend at McDonald’s...anything to break up the monotony of my endless days raising toddlers. Now, as a mother of two children who are away at college and two teenagers still in the nest, I can tell you that the search for something “new” does not really end as your children get older. We may exchange routines and schedules, but there are still the daily tasks of mothering that can weigh us down. And when the weight and weariness overwhelms us, we can find ourselves asking questions: If there really is nothing new under the sun, then what's the point? Where is the joy, hope, purpose, meaning, adventure, or excitement? What a vicious cycle. It's like running a race on a treadmill. We never really get anywhere. Before I send every mom into a downward death spiral of despair, stay with me; I do have a point. Really. The book of Ecclesiastes has 12 chapters and many of the same themes are repeated over and over (not a coincidence I'm sure!). But Solomon, the wisest man to ever live, does give us some good and godly advice. "...We should make the most of what God gives, both the bounty and capacity to enjoy it, accepting what's given and delighting in the work. God deals out joy in the present, the now." All things can be made new UNDER THE SON--with an eternal perspective that looks to God for purpose and meaning. This, dear friends, it what makes it all worthwhile. We have been given the enormous privilege to partner with God in the awesome task of raising children who can grow up to glorify and serve Him. And every day, with its ordinary and repetitive tasks, has a cumulative effect on how our children see God, the world, and their place and purpose in it. If we do everything (even the messy, boring, and ugly) to the glory of God, our children will learn to do the same by our example. I feel you. I understand you. I have been there. I empathize. But I am also here to encourage and challenge you (and myself!) to take Solomon’s advice. We can let go of trying to find something new and choose to live and embrace present, which is God's gracious gift to us daily. 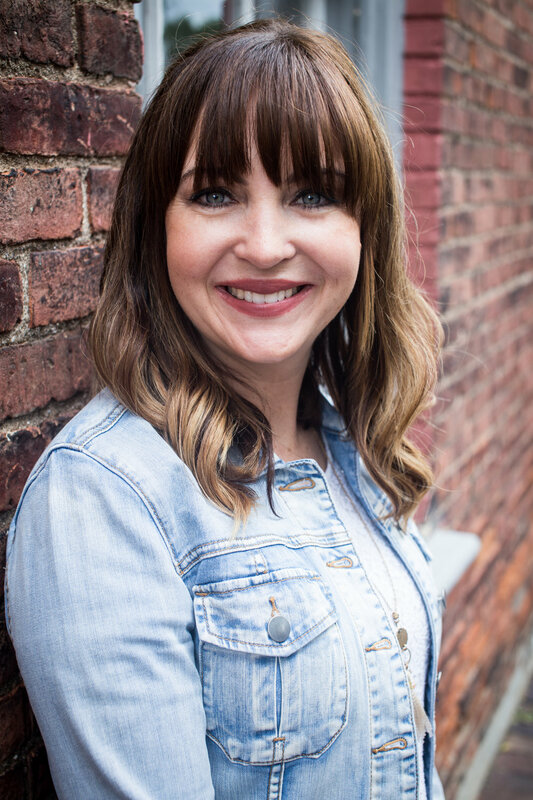 Carla Gasser has been speaking, teaching, and writing for over ten years in northeast Ohio. She blogs her website, AT THE CROSSROADS, writes for online magazines, contributes to several inspirational blogs, and has authored few short devotionals. Her passions are storytelling and connection, and she believes that when people share their stories with truth and authenticity they can encourage, inspire, and challenge one another. She writes and speaks about the messy, ordinary, and unexpected ways her life and her faith intersect. She makes her home in Hudson, Ohio with her four children and husband of 26 years. She is a work in progress, seeking fellow travelers on the journey.